Where can you register? How long is the examination? When will the results be published? Here you can find the answers to the most common questions. How can I register for the TOEFL® iBT? Registration for the TOEFL® iBT takes place via the ETS website. It is not possible to register with the Language Center. Where is the TOEFL® iBT held? How can I reschedule my test date? How can I cancel my test? Rescheduling and cancellations can be done through your account with ETS or by calling the following number: +31-320-239-540 (Call Center for Europe). It is not possible to reschedule or cancel the test date at the test centre (in this case the Language Center) or by e-mailing ETS. Detailed information is available under: Reschedule or Cancel. When are the TOEFL preparatory courses and where can I register? The TOEFL preparatory course is offered several times per semester. The dates are published on our website as early as possible. Details about dates and registration can be found under: «TOEFL preparatory course». Whom should I contact if I have questions about the contents or results of the test? What do I need to know about using a keyboard with the US keyboard layout? Should I practice beforehand? 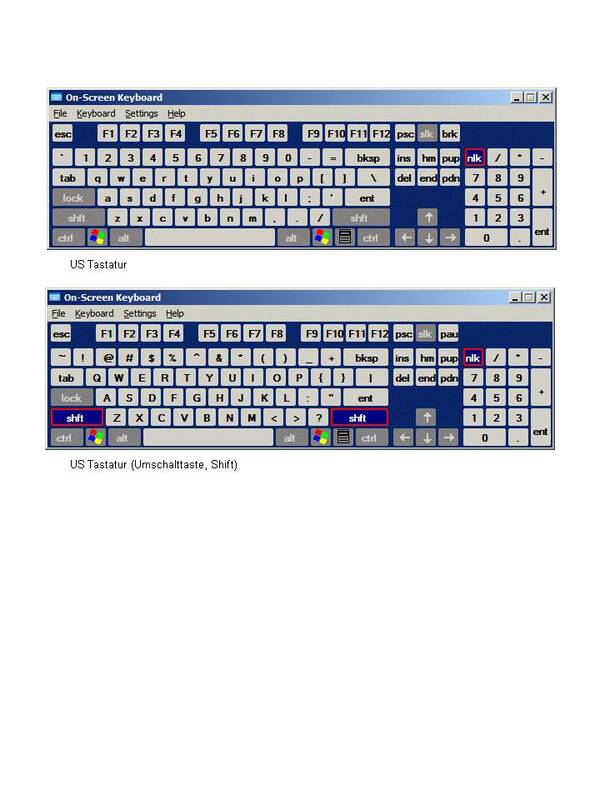 In the «Downloads» section of this site you can find a quick overview of the US keyboard layout. It is recommended that you familiarise yourself with the US keyboard before the test. Take note of the position of the characters you frequently use (especially the position of additional characters like " ' " " ! " and " ? "). Under «Tips» you can find additional information about the peculiarities of the US keyboard layout. How long will I have to wait before the test begins? Everyone taking the test must register before the start of the test (ID check & photo). The length of this procedure will depend on the number of people taking the test. Make sure that you arrive at the testing site no later than 30 minutes before the test begins. Can I eat or drink during the test? No, eating and drinking is prohibited in the testing rooms. Do I have to count the words in the written section? No, the program has an automatic word count feature. How are the breaks organised? There is a mandatory break of 10 minutes roughly in the middle of the test. It is possible to take additional breaks (except during the “listening" and "introductory" parts), but the test supervisor must be notified before beginning the break. It is important to note that the testing time is not extended if you take additional breaks. How long will it be before the results are available online? On the ETS website I received the message "Results not available" under my profile, even though 15 workdays have already passed. What should I do? Whom should I contact if I do not receive my results by mail? Please contact ETS directly. The results are not sent out by the Language Center.